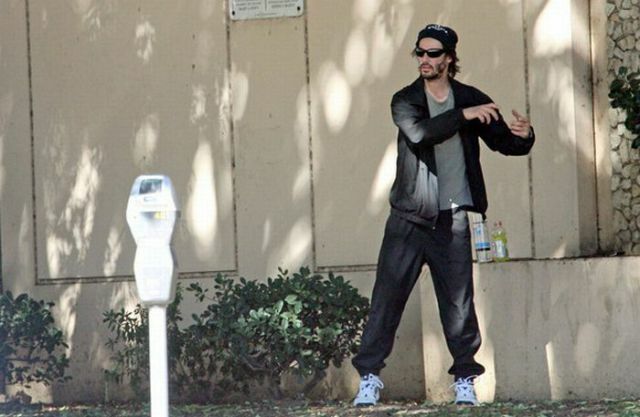 Here is Keanu Reeves making some strange moves in a parking lot. I don’t know a lot about his exercises but he seems to know what he is doing. 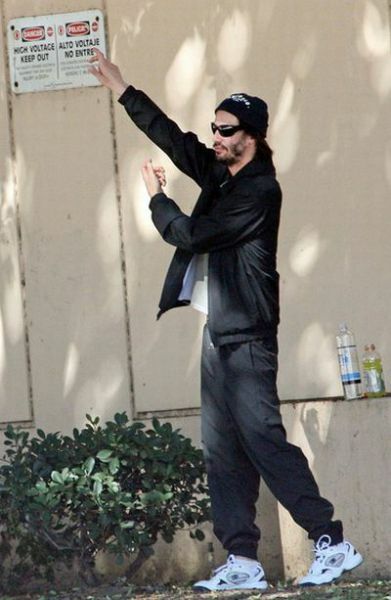 Maybe he’s practicing for some new movie role? 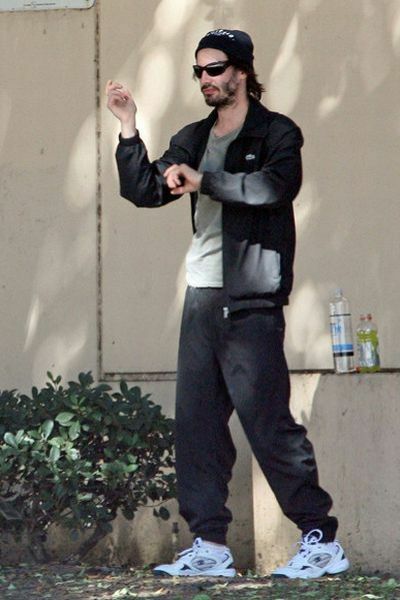 And begins his Tai Chi exercises. He is just creating a new meme... Nothing wrong with that? 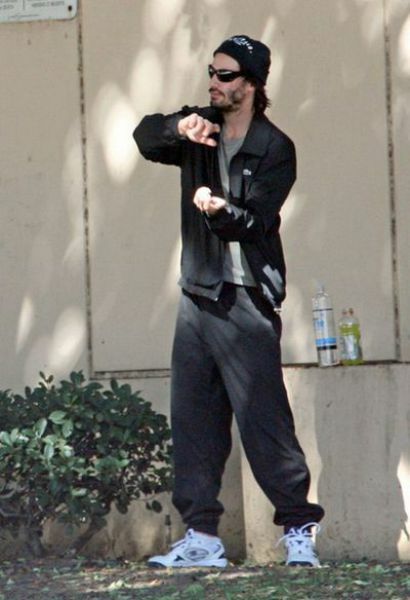 He's flashing back to his role in "A scanner Darkly"
DAAAMMMMNN IT HE IS GETTING READY FOR HIS ROLE AS SPIKE IN COWBOY BEBOP.. I WANA BE A WRITER FOR THIS SHOW SO BAD I HAVE SOME AMAZING IDEAS. i only hope they make it into a serise and make sure that SPIKE IS A POTHEAD in the show. 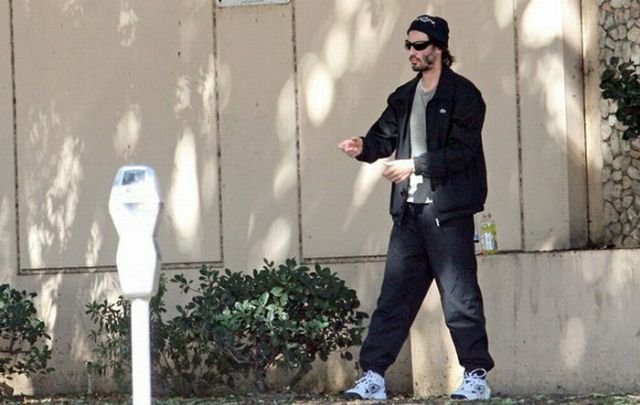 Why does he look like a homeless person in every pic I see of him? 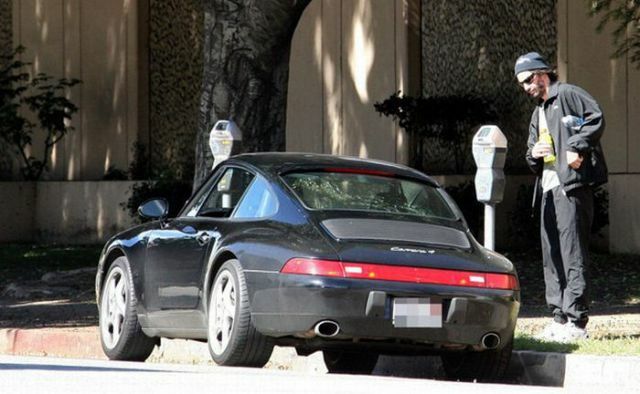 It obviously doesn't keep the paparazzi away. 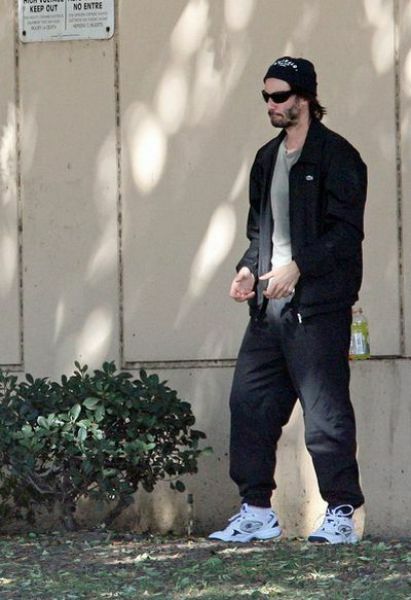 I'm pretty sure that Keanu goes around doing weird things, 'cos he knows everyone takes the piss. Remember, ANY publicity is good publicity.